Every girl wants to have beautiful, silky hair, right? Well, sometimes you can achieve that with your own hair, but sometimes you're too impatient to wait for your hair to grow, and in that case clip hair extensions might be the right choice. Also, if you just want to try out a different hairstyle without actually cutting your hair, extensions are a good choice in that case. CC Hair Extensions is an online human hair extensions shop, which sells various hair extensions of high quality, but low price, and it's available all over the world. All their hair extensions are made of 100% human hair, without any synthetic material. CC Hair Extensions shop has provided thousands of customers with superior quality hair and have met their high standard requirements. They are devoted to offering customers 100% Indian remy human hair extensions of high quality and low price. This shop's team is enthusiastic about they do, and they aim to provide the most beautiful hair extensions to bring our your natural beauty. And you know what? If you know someone who wants hair extensions, this could also be a great Christmas gift! 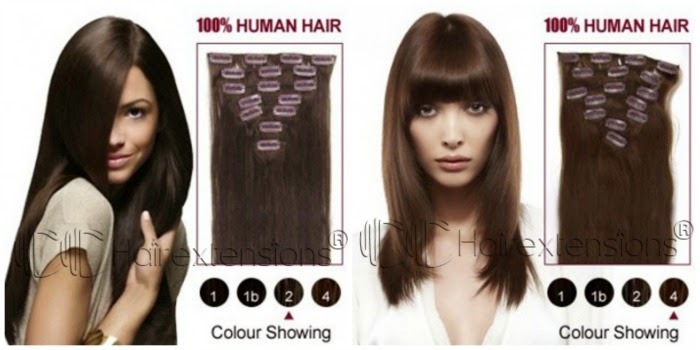 So don't hesitate to check out CC Hair Extensions and find out more..